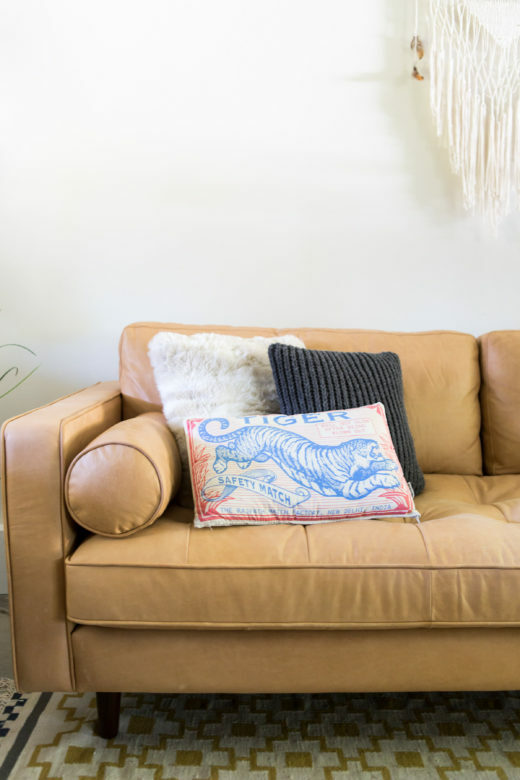 Have you ever bought a throw pillow on clearance at Target without knowing what you were going to do with it or where you were going to display it? Come on. Be honest. We all have! If I showed you my pillow closet, you might think less of me. It’s full of patterned pillows, solid pillows, textured pillows…you just never know when you’re going to do a pillow. Am I right or am i right?? Recently we were at my friend Kate’s house for another photo shoot, and I noticed that she had some fantastic pillows lying around. So I decided to do a little pillow shoot to show you how you can style all of your pillows that you have hiding in those closets. Read more below. 1. Mixing patterns and textures. 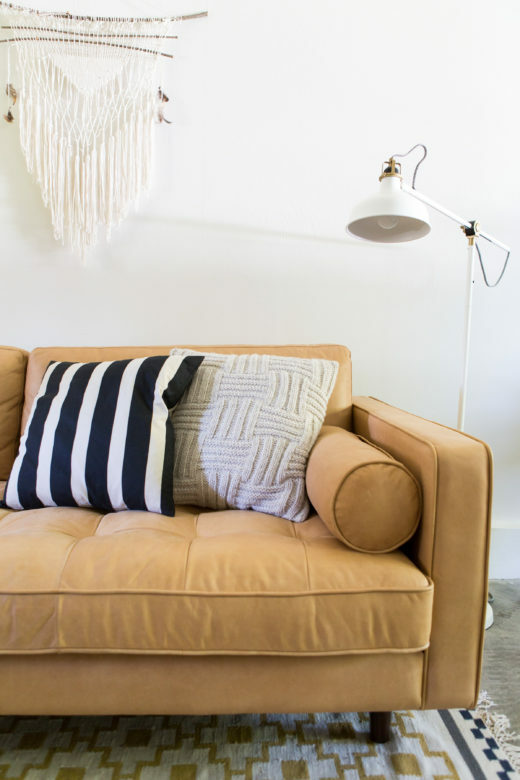 You can easily use a pattern, a solid and a highly textured pillow to bring interest to your sofa. Size matters so make sure that whatever pillow that you place behind the second pillows is larger so that they layer correctly. Stripes is always a great option to mix with solids and patterns. It’s classic and neutral. 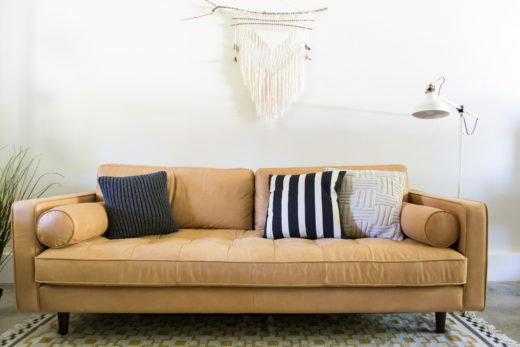 Make sure that the patterns on the pillows have similar colors with the sofa or at least complimentary colors. I typically use the general rule of styling in odds to stay away from a space looking to perfect. It breaks things up and allows for some personality. For the sofa, I tend to use either 3 pillows or 5 pillows. If you are wanting a more lush look, choose 5. Make sure that you choose a nice variety of colors, patterns and textures. 3. Display in the center. The center of the sofa rarely gets any love. Why not display a small collection in the middle to create a fun, out of the box look. 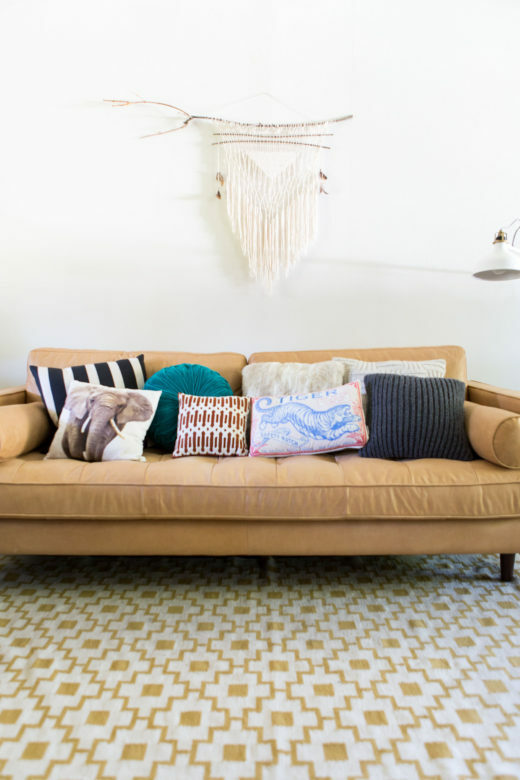 Choose three very different pillows that all coordinate well together. That can usually happen by choosing complimentary colors. 4. Display all on one side. Just like displaying in the center, display all on one specific side. 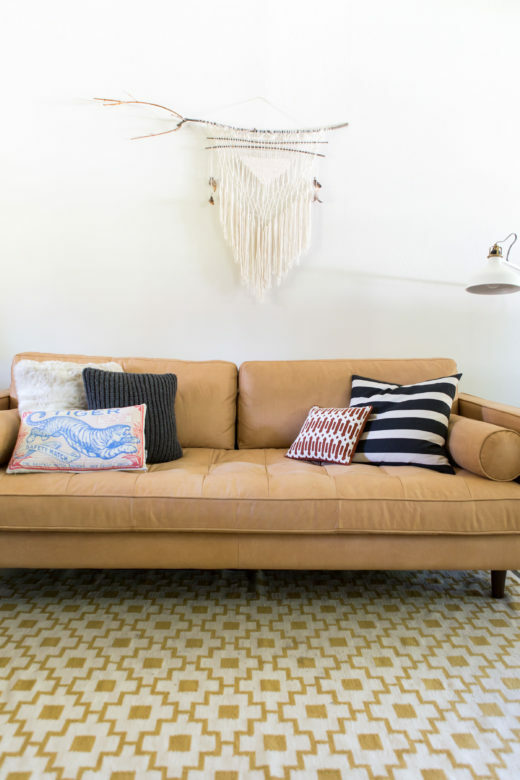 Choose pillows that are larger scale and similar in shape for a more defined look. Also, pay attention to size. 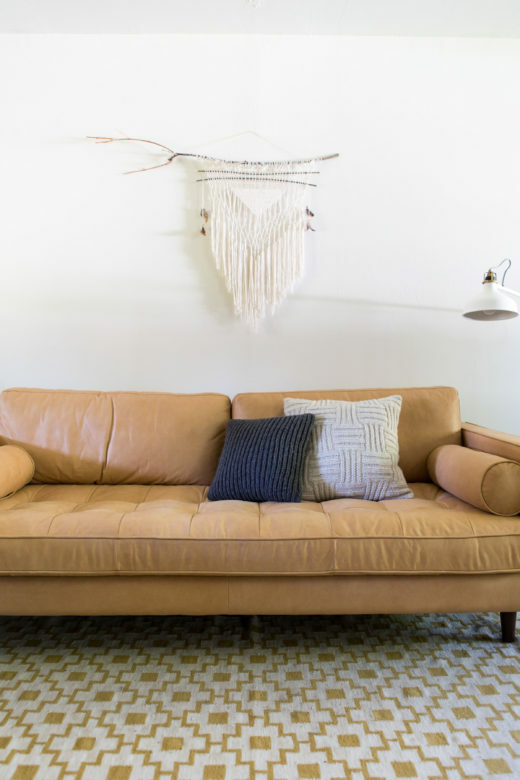 If your sofa is super deep, start with big, dense 20×20 pillows and if you’re styling a small love seat, use smaller sized pillows. 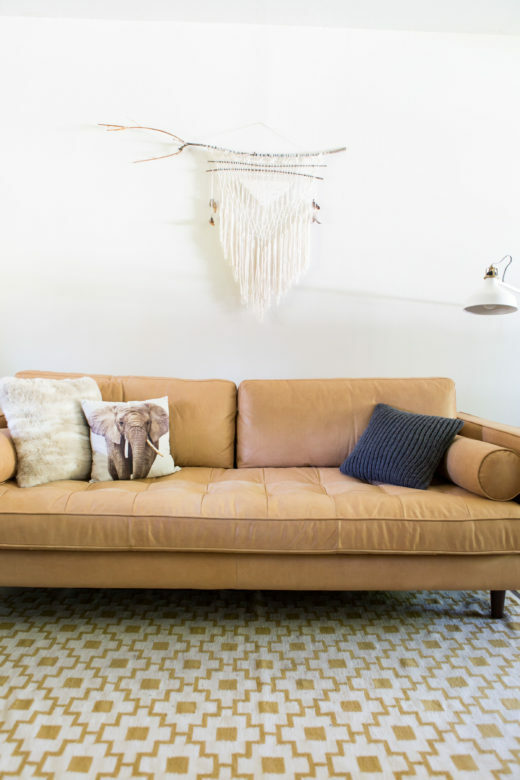 If you want to really showcase your sofa, keep your pillows simple and neutral. Adding just two is all that you need. It adds just enough warmth. 6. Use one statement pillow. 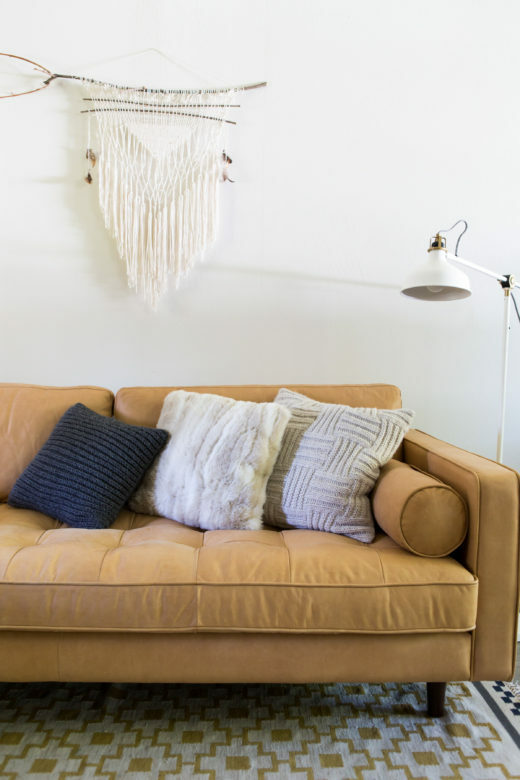 Do you have that one pillow that stands out among the rest? 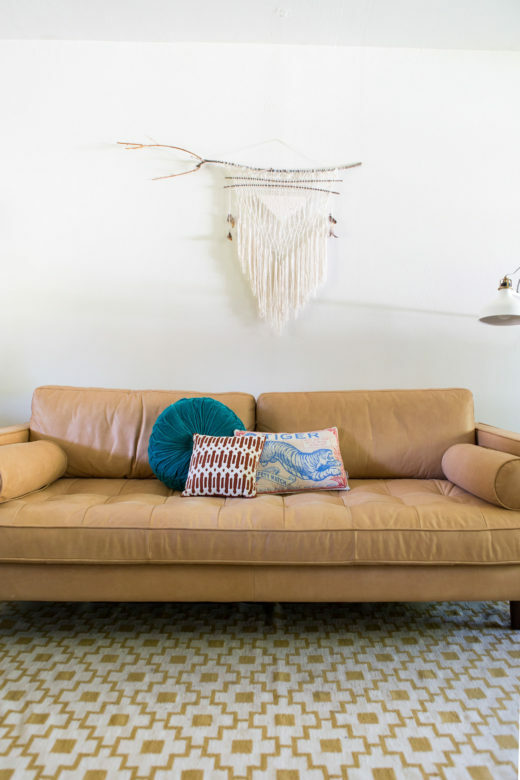 Display it with neutral pillows so that it stands out. 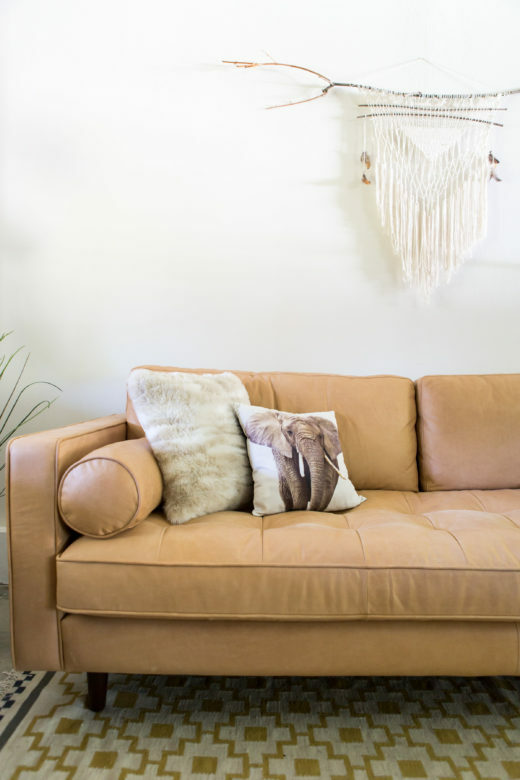 If you are wanting a more bohemian look, you can most definitely use several statement pillows to create an eclectic array. There’s really no rule for displaying pillows. 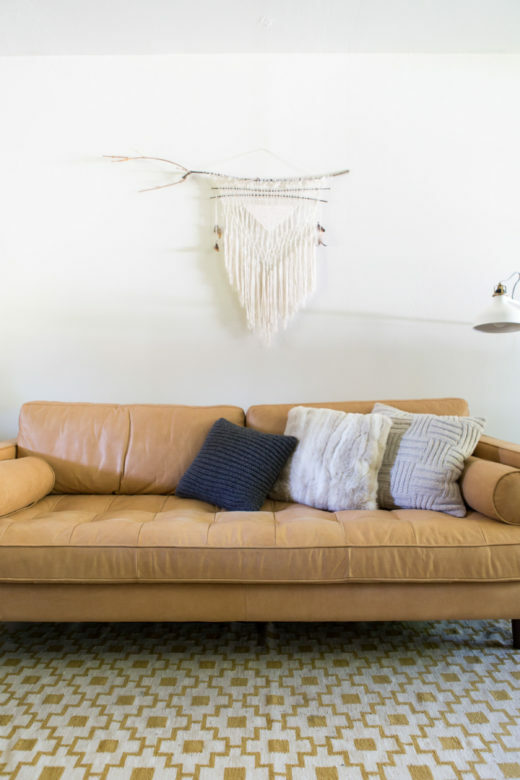 Hopefully this post can help you start a design, and then you can take it from there and make a magical sofa! This idea is just awesome.I’ll definitely decorate my room like this pattern.Hope that my room is gonna look so cute.Thanks for sharing such an idea. Truly great idea.Colors are perfectly choosen.